Roanoke, VA (January 20, 2015) – Winter has arrived and as the temperature continue to drop, heating costs continue to rise. Utility bills aren’t the only thing on the rise- the nasty weather is also attracting a nasty scam. Businesses in Western Virginia are reporting receiving phone calls from individuals claiming to be their electric utility company threatening to turn off their power unless an immediate payment is made. The caller claims to represent Appalachian Power and requests payment through a pre-paid debit card. Thieves are calling our customers, threatening to shut off power unless an immediate payment is made. Appalachian Power never asks for pre-paid debit cards for payment. Please use our authorized payment methods, and call us at (800) 956-4237 if you have questions or concerns. re-recording their messages using the name of a utility company that serves the zip code they are currently targeting. Confirm that you are speaking to a utility representative. If you have any concerns, tell the caller that you will independently check the phone number for the utility to verify the caller’s identity and information. The toll free number for Virginia AEP consumers is 1-800-956-4237. 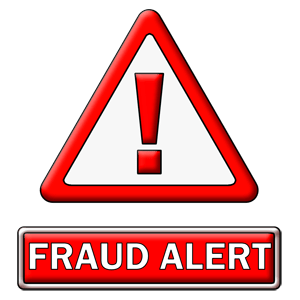 Be wary of anyone demanding immediate payment or payment in forms that are difficult to trace, such as Western Union, MoneyGram or GreenDot MoneyPak cash cards. Never give your credit card, debit card, Social Security, ATM, checking or savings account numbers to anyone who comes to your home, calls or sends an email requesting information. Never allow anyone claiming to be a utility service person into your home unless you have scheduled an appointment and the person has proper identification. Contact police if you become concerned about your safety. If you believe you may be the victim of a scam, you may contact your utility company, or you may call the BBB at (800) 533-5501. BBB is a nonprofit, business-supported organization that sets and upholds high standards for fair and honest business behavior. The BBB provides objective advice, free BBB Business Reviews on more than 4 million companies and 11,000 charities, dispute resolution services, alerts and educational information on topics affecting marketplace trust. Please visit www.bbb.org for more information. If you need more information, contact the BBB at (540) 342-3455 or (800) 533-5501. You can also visit www.bbb.org. Follow us on Twitter at www.twitter.com/BBBWesternVA and on Facebook at www.facebook.com/BBBWesternVA.